The sunlit front room of Gramercy Tavern, with its woody interior, meticulous topiaries, and exceptional flower arrangements makes every visit feels like a special occasion. Soon, the ceiling will be transformed into a stunning array of lights, foliage and colorful holiday ornaments made by the staff. Visit on a sleepy weekday afternoon and you can even have some space to yourself to just sit and relax. 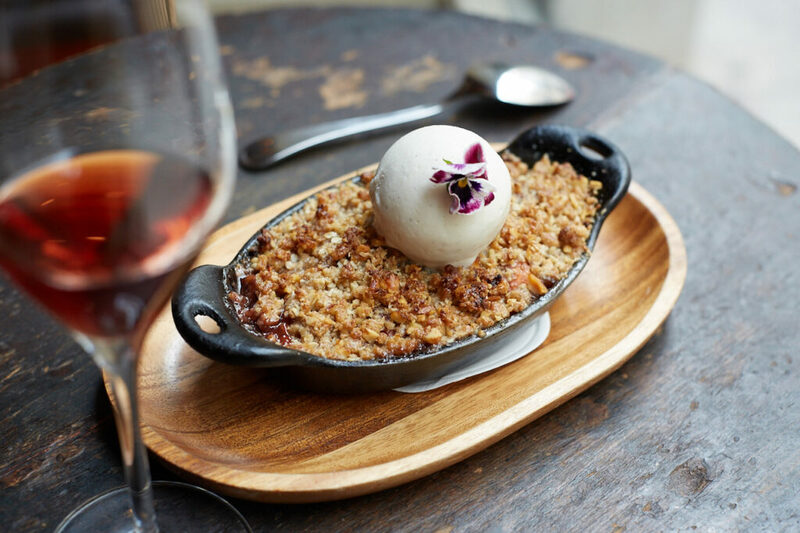 Take full advantage of the Tavern room’s feng shui and treat yourself to a custom dessert tasting. Make it even more memorable by adding drink pairings to each course and pretend you’re in the more formal dining room doing a full blown tasting menu. 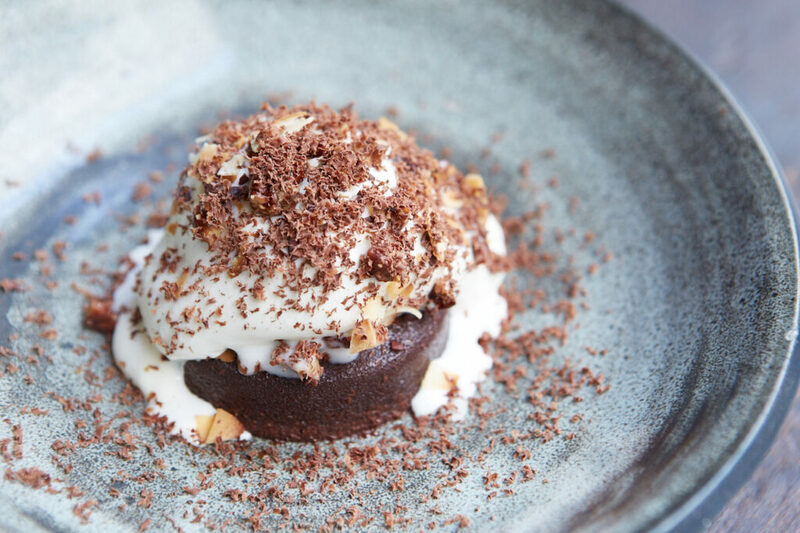 Gramercy Tavern is one of the best pastry programs in New York, headed by Pastry Chef Miro Uskokovic. In August, Uskokovic was name-checked by Pete Wells no less than 4 times in The New York Times three-star review for the restaurant. All due respect to The Gray Lady, Miro has been making exciting desserts for many years. 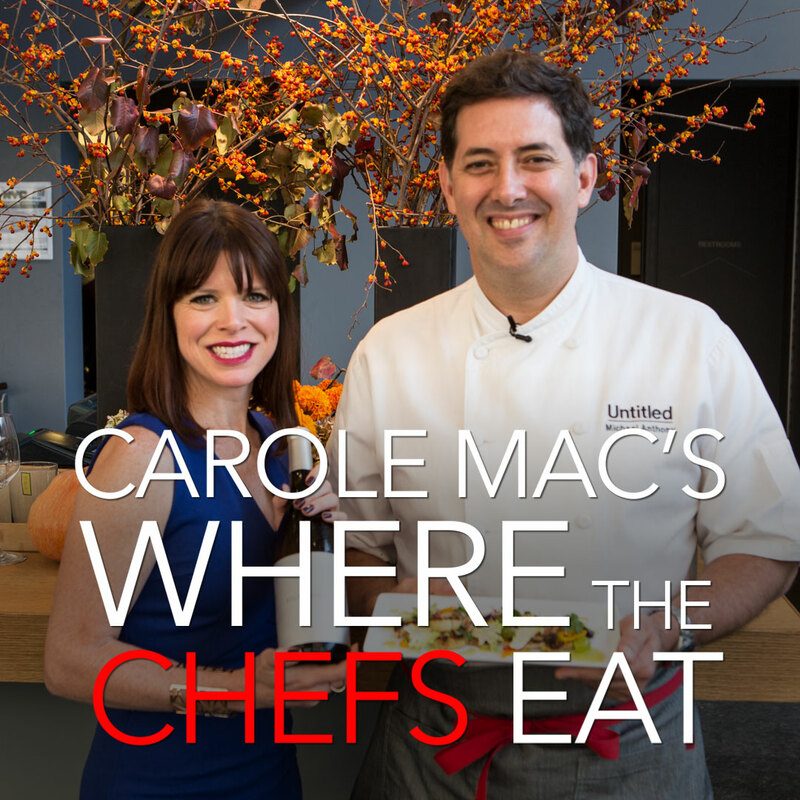 He draws from both his fine dining experience at such excellent restaurants as Aldea and Jean Georges and his Eastern European heritage to create unique desserts with deeply satisfying flavors. 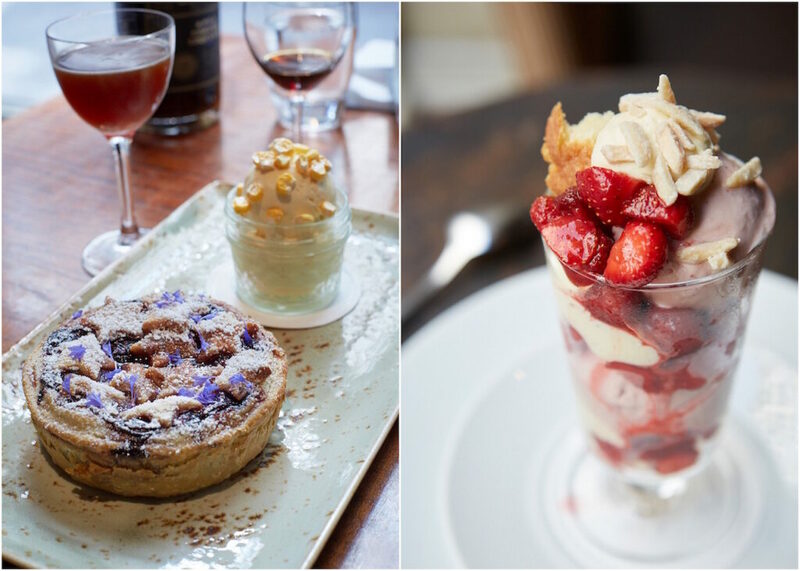 The current Tavern dessert menu is the best one yet with at least two offerings—the Strawberry Sundae and the Chocolate Pudding—that are sure to become classics and be forever associated with Miro and Gramercy Tavern. For this guide, I wanted to go beyond ports and muscats to dive into some more adventurous beverage pairings. 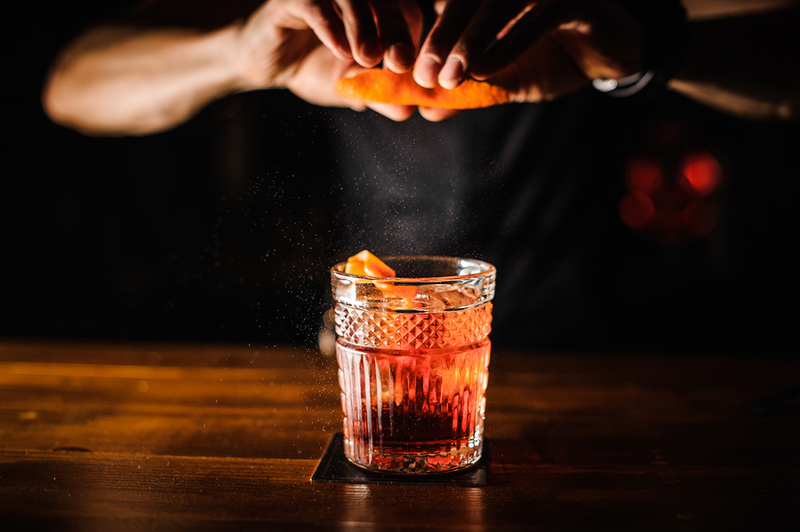 I reached out to subject matter experts Carey Jones, author of Brooklyn Bartender: A Modern Guide to Cocktails and Spirits, and to Isabella Fitzgerald, Assistant Beverage Director for Gramercy Tavern—both of whom have a passion for drink pairings that rival my interest in desserts. This strawberry sundae is for the adults but will instantly make you feel like a kid again. Fragrant, impossibly sweet Tristar strawberries float on clouds of lightly sweetened strawberry ricotta ice cream and vanilla diplomat cream (a lighter version of pastry cream). Pieces of almond cake soak up the cold ice cream and strawberry juices like a good tres leches cake. A topping of candied almonds add a satisfyingly crunchy finish. Layers of delicate and airy puff pastry make up the crust for this seasonal fruit-filled treat. Despite copious amounts of wild local blueberry compote, the crust remains flaky and crunchy thanks to plenty of butter in the pastry. The sweetness of the compote is nicely restrained. Crisp bits of freeze dried corn kernels contrast nicely with the Jersey corn ice cream that’s evocative of buttery creamed corn. This quintessential fall dessert will comfort you like the roaring fireplace of a quaint Vermont bed and breakfast. Tender and perfectly ripe plums and nectarines have just a touch of firmness rather than being cooked to a pulp. As with the blueberry pie, the sweetness here is muted, letting the natural flavors of the fruits shine. Walnuts add crunch and nutty flavor to the oat-based streusel topping. Black pepper ice cream is made with Malabar black peppers that Uskokovic brought back from India himself. The resulting ice cream has great floral and spicy notes with a subtle heat that lingers. Imagine a great hot fudge sundae, but with the ratios flipped so there’s more fudge than ice cream or whipped cream. Dark chocolate lovers will delight in the concentrated punch of this ganache-like square of molten chocolate. The soft texture allows the complex fruity notes to waft easily over your tongue and palate. Whipped condensed milk cream is sweeter than standard whipped cream, but still balances all the rich chocolate. Everyone knows milk and cookies is the ultimate comfort dessert. 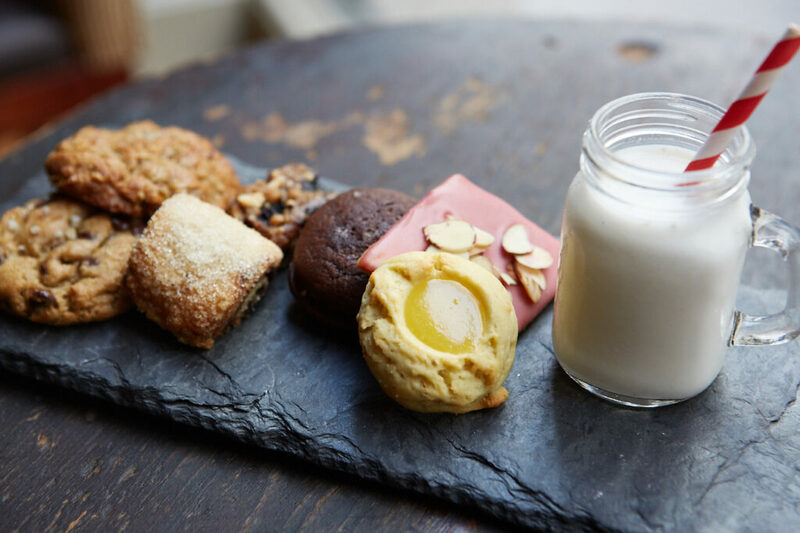 Gramercy Tavern takes it to the next level by serving theirs with a tiny glass jug of Battenkill Creamery milk that’s been infused with vanilla beans. The dish is served on a rustic wooden tray or slab of slate and the milk comes with a red and white paper straw to complete the casual, old-timey feel. The selection of cookies changes throughout the year but there’s always a wide variety on the plate with influences from all over the world. On a recent visit, I enjoyed a piece of fig jam rugelach and a warm chocolate chip cookie with 68% Valrhona chocolate chips made with roasted chickpea flour that added a bit of nuttiness. The kirsch shortbread with almonds is enrobed in pink frosting that snapped with freshness revealing a pleasant buttery crumb. Often, a seasonal macaron is included, but on this visit, it was replaced with a salted caramel and chocolate whoopie pie. Isabella explained that both of these espresso drinks could go with any dessert on the list or even in place of dessert—and I fully agree. “A lot of people have always looked for that extra jazz at the end of their dinner—especially if they are going for cocktails afterward.” This makes sense since many enjoy an espresso at the end of their meal. She also noted that guests take their coffee much more seriously than in the past leading Gramercy Tavern to create a concentrated cold-brewed espresso for use in the espresso martini. This results in more authentic espresso experience sine hot espresso doesn’t get poured into a cold drink. My preference was for the St. George Spirits coffee liqueur neat or with one rock. Niko Triantafillou has been writing about desserts and pastry since 2006 and will serve on the press jury for the upcoming Valrhona International C3 Pastry Competition in NYC. 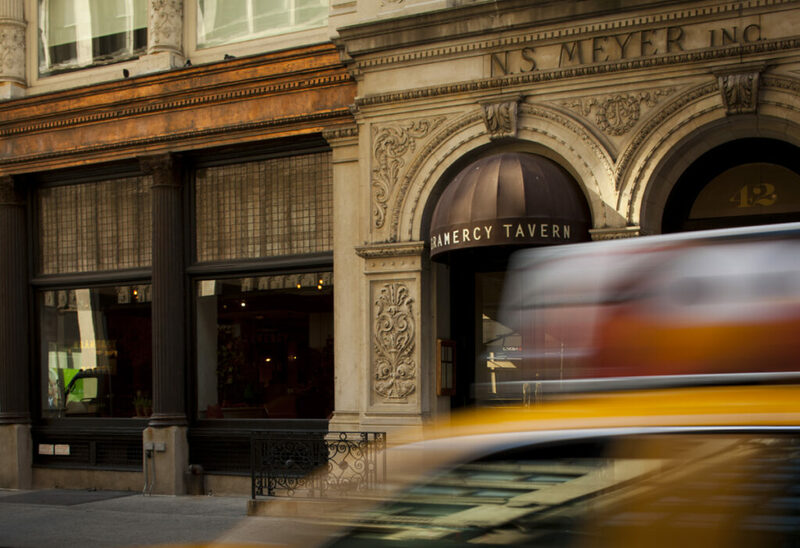 Exterior image of Gramercy Tavern by Maura McEvoy, Courtesy of Gramercy Tavern. Food images: Harry Zernike is a New York based photographer who recently photographed Soup Nights for Rizzoli, arriving in October 2016.